Obesity or corpulence is a condition of the body characterized by over-accumulation of fat under the skin and around certain of the internal organs. While the state of health differs from person to person, other thing being equal, the fatter a person is, the slower he will be. Obesity usually involves holding about twenty percent more weight than what is normal for your body type. Overweight only truly becomes a disease when the extra weight held is high for the body type and leads to other health problems like Hypertension, Diabetes and Arthritis. A heavy body is a good breeding ground for toxins (Ama) and may reduce the chances of life expectancy. Causes of obesity include overeating, too much heavy or cold food, too frequent meals, excessive sleeping and lack of exercise. Hormonal imbalances complicate the condition. Generally, the digestive fire will be weak in this disease of slow or low metabolism. It is usually a Kapha condition, as Kapha types easily put on more weight. Weight reducing or Appetite suppressing drugs also suppress the digestive fire and long-term can further weaken the metabolism. They increase Vata and aggravate nervous type obesity. First determine your normal body weight and see how obese you really are. If you are significantly overweight then proceed with the anti-obesity remedies. Avoid eating in the very early hours of the day, late at night and do exercise regularly to maintain a appropriate weight. Obesity requires a lightening (Langhana) or reducing method, with a long term light diet both in terms of food quantity and quality. 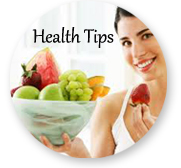 Don't eat very less; instead avoid heavy, greasy, fried or fatty foods. Do fasting once in a week. Add spices to your diet and drink hot and spicy teas to improve your digestion. Use mild laxatives like 'Triphala' or 'Vara Churna' to cleanse the bowels. Strong reducing therapies is not advisable as they can increase the body heat and decrease the resistance power. Usually long term mild reducing therapies are better than the short term crash methods. Do brisk exercise to burn the fat. Don't overeat nor starve. Have nutritious food moderately. Can have small and regular meals for easy digestion and absorption. Guggul and Garcinia are good natural herbs useful to remove the unwanted fats from the body. These herbs are excellent for lowering excess body fat and improving the metabolism. Some, who are much under stress, have the tendency to over eat and end up in weight gain. Those who have lack of sleep are also prone to weight gain. For such kind of persons, Nervines are necessary with the other herbs. Brahmi is a good herb to treat such conditions. Sugar and sugar products should be avoided as much as possible. All aerated drinks should be avoided. Salt intake should be reduced. Dairy products like processed ghee and processed cheese, breads, pastries, meats and fish should be taken moderately. Avoid frequent eating of junk foods, fried foods, ice creams etc. Eat more vegetables, preferably steamed without much oil or salt, beans and whole grains, and less of the heavier food. Mung beans are excellent as a staple food. Excessive sleeping or sleeping during the day should be avoided. Exercise, particularly of an aerobic nature, should be undertaken. However, if the person is weak, exercise should not be taken to the point of strong sweating, shortness of breath or fainting. Herbs include: hot spices to increase the metabolism- cayenne, black pepper, ginger, garlic and turmeric. Bitter herbs to reduce fat: katuka, barberry, gentian and myrrh. Barberry is a rejuvenative for fat tissue, both eliminating excess fat and producing better quality tissue. 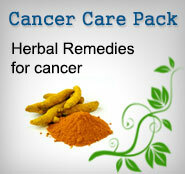 The usual combination of turmeric and barberry is also useful to treat obesity. These products contain natural herbs that are useful in removing the unwanted fats, without any side effects. These products aim in improving the functions of the liver and burning the unwanted fats. So, these are good for health as well and do not produce any side effects.